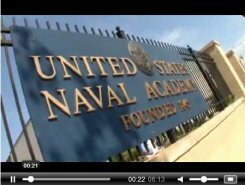 The United States Naval Academy as described on the web site www.youniversitytv.com. 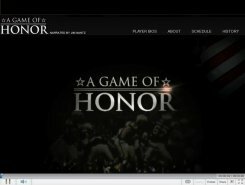 A Game of Honor: a never before seen look into the Army-Navy Rivalry as presented by CBSSports.com. This is a video shot by Colonel James C. King, USMC (retired) while flying in the back seat of Blue Angel #7 during a Flight Demonstration at the United States Naval Academy in 2007.